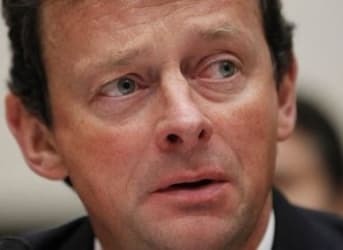 BP’s former CEO Tony Hayward agrees with OPEC that its strategy of maintaining the oil glut and thereby helping to drive down prices will quickly crush the US shale boom and that oil prices will rally sooner than many people expect. He pointed to the steep drop in the number of drilling rigs now in use in the United States. “The supply base is shrinking, [OPEC is] maintaining their market share,” Hayward said. “It seems like [the cartel’s strategy has] been a big success. … It’s having exactly the consequences they envisaged.” As a result, he said he believes that American output soon would slow down or even begin to fall. 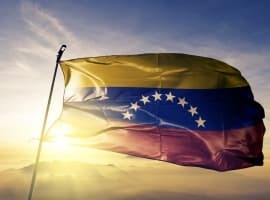 These points could have been taken directly from OPEC’s Monthly Market Report, released April 16, which forecast US oil output will first rise this year to about 13.65 million barrels per day in the second quarter of 2015, but then flatten briefly and finally begin to drop for the rest of the year. It said this also applies to Canadian production. In his speech, Hayward said OPEC’s strategy wasn’t the only reason for his optimism about oil prices. 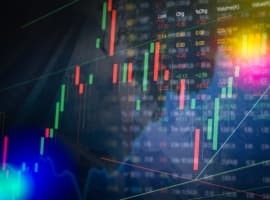 He also gave credit to independent oil companies for sharply reducing their capital expenditures and work forces, which he said also “are laying the seeds for the next bull market.” He said the industry did the same during 1990s, eventually generating a price rally that lasted from 2003 to 2007. OPEC isn’t Hayward’s only ally in expecting oil prices to rise. Paul Horsnell, director of commodities at the British financial services firm Standard Chartered, says what many call a glut is merely a slight edge in supply over demand, and virtually any shift in demand could reverse the price trend. “There was never a glut,” Horsnell told The Wall Street Journal. “The global surplus in the first part of the year was 1 percent. It will be gone by July and the market will be in deficit as we move into September.” Related: What Happens To US Shale When The Easy Money Runs Out? 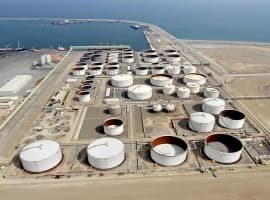 And, of course, there are those who disagree with Hayward’s view, arguing that production will exceed demand for a long time at a rate of between 1 million and 2 million barrels of oil per day, then going into storage when it can't be sold. Because of this, they argue, global output can’t fall fast enough to match demand. One is Michael Coleman, the chief operating officer at the futures and commodities trader RCMA Asset Management in Singapore. He says many larger oil companies still have much of the money they earned when oil was selling at over $110 per barrel, so they can afford to keep producing even during the current price slump. Soooooo, Mr. Big Shot Oil CEO, what is to stop Bakken from re-engaging when oil hits, say $70??? Hmmmm??? The Opeckers seem to not have thought that far, have they? Rene, what happens then is that Saudi is the low cost producer and will maintain their production levels. American shale producers can't maintain the high costs of constantly starting and stopping their higher cost wells when the price of oil falls due to increased supply or weakened demand. This means that the American producers will essentially be cornered into managing their supply to maximize their profit, which in turn allows the Saudis to generate larger profits while maintaining their market share. OPEC has quite ingeniously shifted the burden of supply management to the high cost producers while still maintaining the cartel of low cost producers for when/if production levels from these producers fall. They are finally seizing the power of their low cost status in the free market and maintaining the advantages of their cartel for a rainy day. It will take two years for the Bakken to even get started, plus much land will need re-leasing again which delay even further! Greg's response sounds correct. Some of the eagle ford is economic at $30 per barrel. The low-cost producers will continue drilling wells. At the same time contractor pricing is going to be discounted. The cyclical nature of the oil industry has not changed.